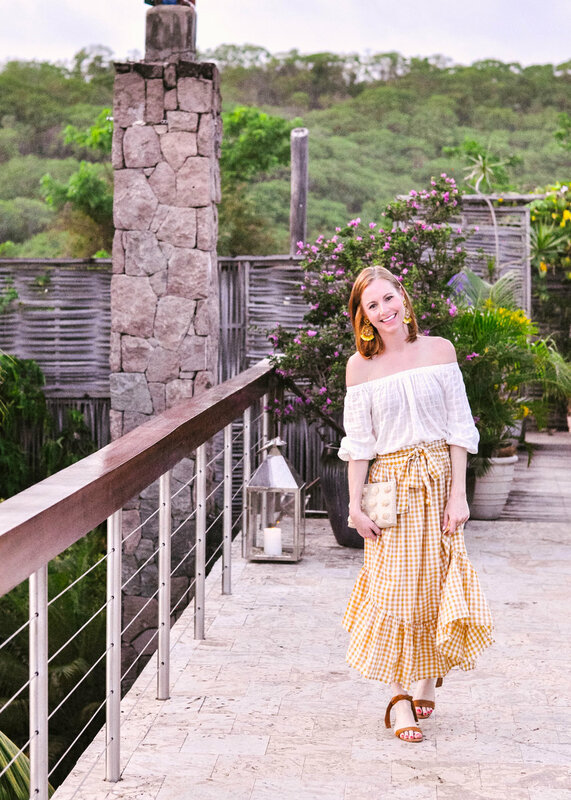 As you guys may know, our 10-day honeymoon included two stops in St. Lucia, a place we've always wanted to visit, but just never made a priority destination until now, and it was absolutely magical. The island that everyone who has traveled there just seems to adore was not only the first stop on our honeymoon itinerary, but also the last. 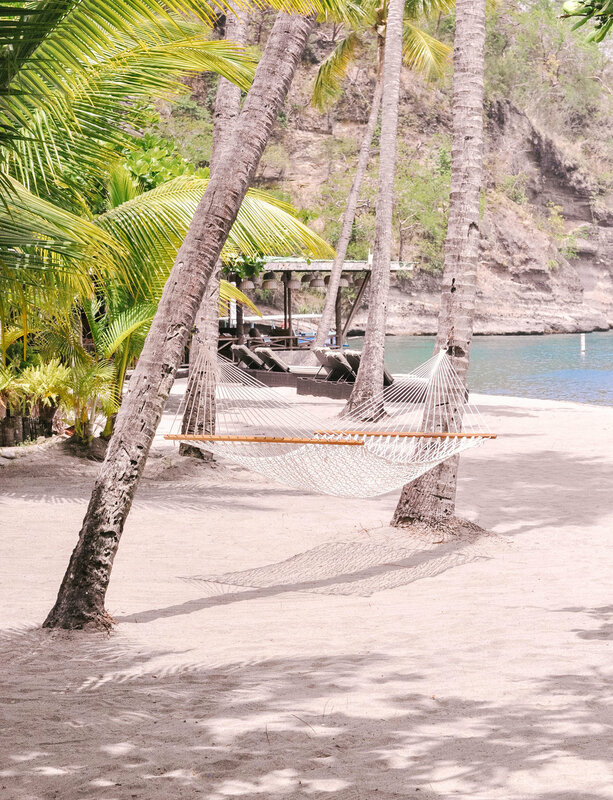 In the middle was the island of Bequia and a few other fun Caribbean pit-stops, but our trip began and ended in the tropical haven known as the perfect honeymoon paradise, and we wouldn't have had it any other way. Take us back! But one of the things we found about St. Lucia is how hard it is to sift through the endless amount of information on transportation both to the island and around the island once you arrive, where to stay and why, what activities are absolute musts while there and where to eat. 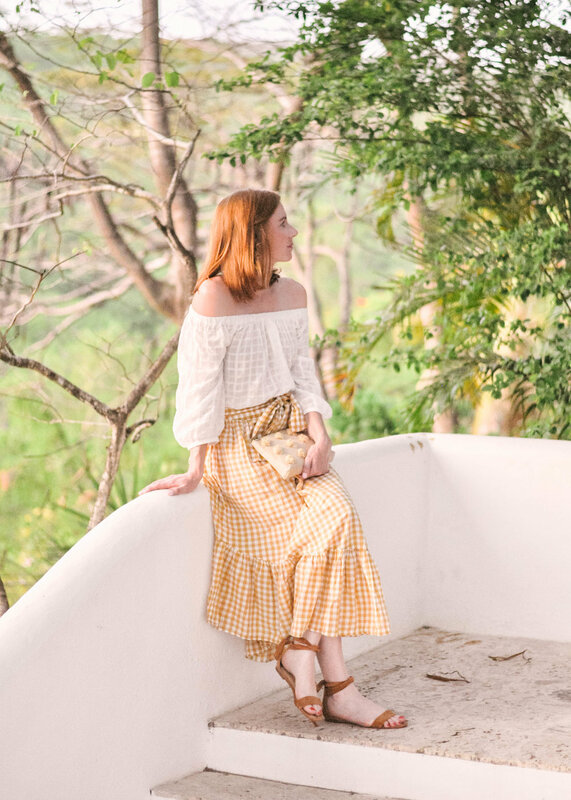 The web is absolutely saturated with information about St. Lucia, and it took us so long to really hone in on the good stuff, so we thought we'd give you guys a condensed, insider guide on how we did St. Lucia and what we found while there. Our hope is that it's helpful for those of you dreaming about a St. Lucian getaway and offers you a one stop shop while you're planning your trip to paradise! Figuring out just how to get to the island of St. Lucia can seem tricky, but here's what you need to know. It's not nearly as hard or as costly to get to as some other less developed or smaller Caribbean islands and both Delta and American Airlines have been flying to the island for quite some time, and have flights to St. Lucia from a ton of major cities across the U.S. every single day. We went the Delta route because they happened to have the best rates at the time, and we flew through Atlanta. It's about a 4-hour flight from Atlanta to St. Lucia and you'll land at Hewanorra airport once you arrive, which is one of two airports on the island and is on the southern end of the island as a whole with relatively easy access to some of the best resorts on the island. This is essential. You could totally rent a car on the island and we met people who had, but we personally wouldn't want to drive ourselves around the rough and winding terrain of the island. That's a no go for us. But you will need transportation from the airport to your hotel and back, and possibly to dinner if you're wanting to get off of your resort's property and to another destination for a meal. Which is possible, despite what your resort may recommend. Chris was tasked with researching and booking this portion of our trip and after tons of research and reviews read, he connected with Janus Gyan from Saint Lucia Airport Shuttle and it was one of the best things we did in the planning process. Because we were going to St. Lucia twice during our trip, we needed a ride from the airport to our hotel the first time we went, from our hotel to the other airport on the island when we left for Bequia, then a ride from the airport to our second St. Lucia hotel when we returned to the island and of course, a ride from our second hotel to the airport when we left for good. And we weren't super pumped about leaving the transportation element to chance once we got to the island and we didn't see anyone recommend that in our research. Not only were our private car rides as smooth as can be on those crazy, winding roads, but every single one of our drivers from Janus' crew was extremely professional, gave us endless information and history about the island when we requested it, were so friendly, kind and frankly hilarious, and most importantly perfectly prompt every single time. They were even early to pick us up on the morning when we needed to be picked up at 4:30am. What's more, Janus will coordinate all of your timing for you and advise you as to the scheduling of your car service so you don't have to worry about figuring out how early you need to arrive at each airport for each flight. He's completely versed on all of the airlines, Caribbean flights and international flights and how early you'll need to arrive at the airport for each... and it's not always what the airline tells you, so trust Janus. Another important note is that his service was much less expensive than the cars that our hotels proposed to arrange for us, and we felt that his cars and vans were actually nicer than what our hotel would provide. HUGE win all around! 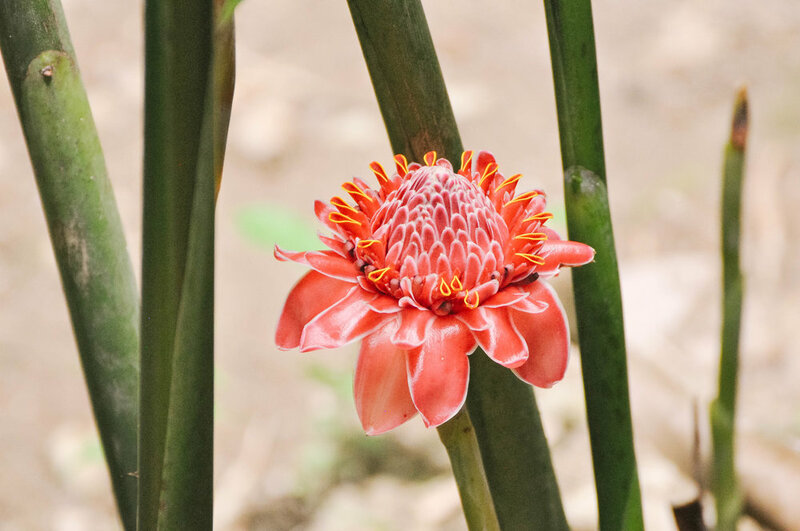 If you're looking for a bevy of awesome tours to do while on St. Lucia, Janus also runs Real St. Lucia Tours which cover pretty much activity you'd ever want to do while on the island. 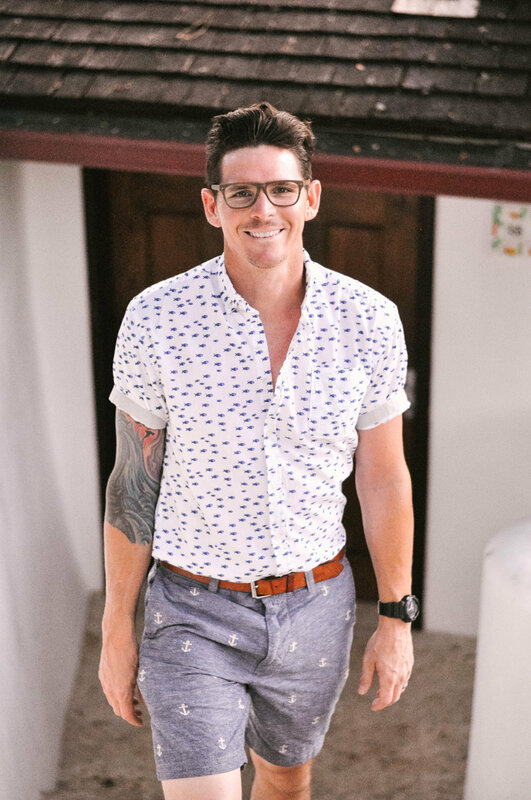 And if you're looking for a sweet villa to stay in while on the island instead of a hotel, he also runs Islander Villas, a villa rental service. And again, connecting with Janus for our transportation was one of the best things we did during the planning process, so do yourself a favor and book them right after you book your flights and hotel, save yourself some money and have fun while you're at it! 1. It had to be close to the Pitons and have a view of the pitons. Seeing the Pitons and those gorgeous views that we all have seen so many picture of was important to us. 2. Which means that we wanted to stay near the southern end of the island. So we had to make sure we were looking at the map when looking at hotels to be sure they weren't on the northern end of the island, which is about an hour and a half drive on some pretty gnarly roads from the Pitons and other must-do St. Lucia activities. 3. It had to have easy access to a beach. Which narrows the field of choices on the southern end of the island. This requirement then limits you to Anse Chastanet/Jade Mountain or the Viceroy Sugar Beach. 4. Great food and reviews to back it up. This also narrowed the field of possibilities. Boucan by Hotel Chocolat got a ton of great reviews on their food, but they're not set on a beach. Anse Chastanet also got great foodie reviews. 5. We wanted to be on a 4 or 5 star property. It's our honeymoon, after all! Photos and reviews were so helpful on this front. This is another one of those things where we're going to tell you "do yourself a favor and book" because after lengthy research and a lot of discussion about the pros and cons of each hotel property on the island, Anse Chastanet's amenities and its location near the Pitons, we came to the conclusion that there was no better location than Anse Chastanet and Jade Mountain, which are essentially on the same property and under the same ownership. And after our stay, we realized that we were absolutely right in thinking that. Before our stay we had read that Anse Chastanet had a little bit more "vibe" and "flavor" than Jade Mountain, the more expensive and "upscale" of the two properties, that Jade Mountain was a little more subdued in general and a farther walk from the beach, and that the food was more memorable at Anse Chastanet. And all of those things are things we found to be true during our stay. Anse Chastanet is in the perfect location on the island for the absolute best St. Lucia experience and views, it sits up in a lush forest among the natural sights, sounds and animals (mostly birds) of the island, has its own beach just steps away that's pretty spectacular with beautiful beach lounge chairs, huts, food and cocktail service, gorgeous restaurants with fantastic Caribbean-inspired food and stunning open-air guest rooms that perfectly marry island luxury with St. Lucia's stunning natural setting. Also off to the left of the Anse Chastanet beach is a marine reserve which has the best snorkeling and sea-life-spotting reef area on the island. We snorkeled at Sugar Beach and it just wasn't as good. 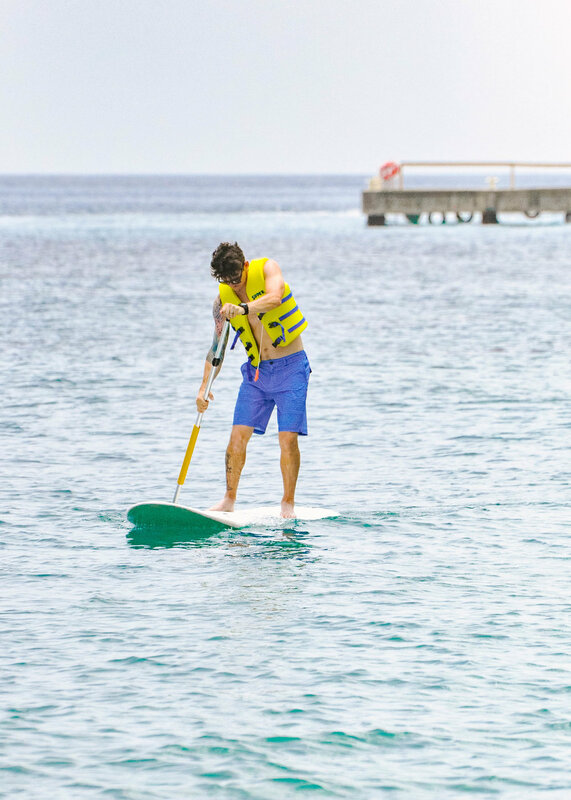 As a guest of the hotel you also have complimentary access to SUP boards, snorkel gear, Hobie cats and kayaks whenever you please. We loved that amenity and made great use of it. The only thing you should be sure to know about this place is that although it's certainly a luxury resort, there is no air conditioning. We slept perfectly with just the breeze and the fans provided, but I know some people don't love that. 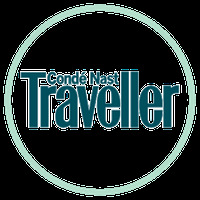 Totally worth a visit, which you can do via a quick walk if you're staying at Anse Chastanet. This is the place you often see in pictures of St. Lucia when you're searching the destination online. Grab a drink at the bar, check out the incredible views and maybe even make a dinner reservation here. Guests of Jade Mountain also have access to the Anse Chastanet beach which is just a short jaunt or shuttle ride from the hotel, which is awesome. They also have what are really the best views on the island along with personal plunge pools and swings in most of the open-air rooms. 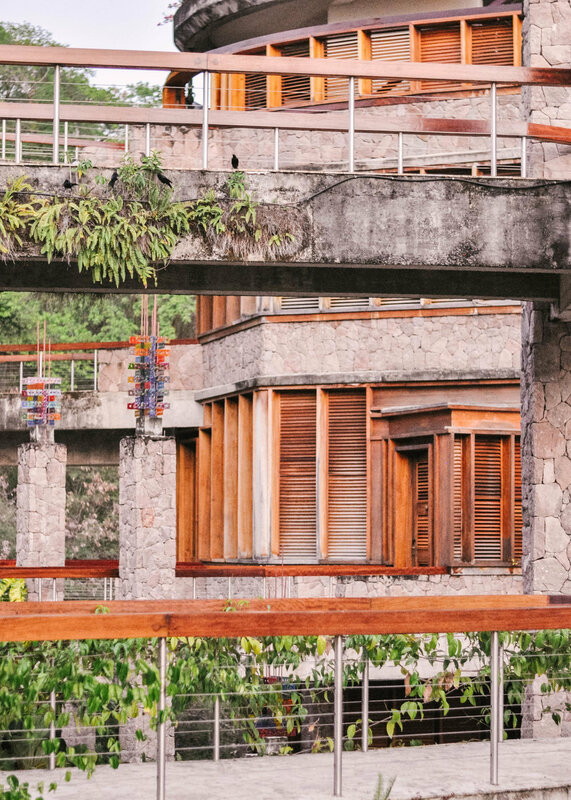 This hotel is luxury at its best and if you want to go all out and get really, really romantic and uber private, Jade Mountain won't disappoint. This was the hotel we chose for our second trip to St. Lucia at the end of our honeymoon, and we absolutely loved loved loved it and the surrounding area, Marigot Bay. We had a hunch that after staying at two hotels for a total of 8 days without air conditioning and more of a "rustic, natural" vibe, we'd be ready for total modern luxury, with completely enclosed rooms (not open-air), air conditioning, a pool and a little bit more of a "resort" feel. And once again, we were totally right! 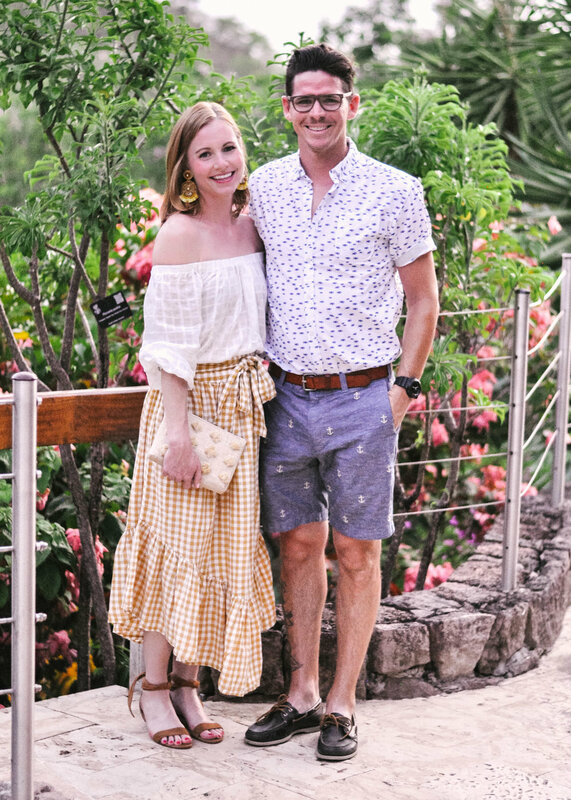 Although we absolutely loved staying in gorgeous open-air hotels with really natural, beachy atmospheres, we loved getting to close out our trip in style with an abundance of modern amenities and a little bit of extra sparkle. The rooms here are absolutely beautiful, the service is impeccable, the bathrooms in the room (c'mon, you know you care about this) are awesome and feature the only "open-air" part of the rooms with slats on the windows that open but have screens on them to keep the bugs at bay, and the restaurants on the property are delightful. I was taking a shower one afternoon and it began to rain outside and I had the slats open, with the cool breeze drifting in and outside my window a huge rainbow appeared over the hill. All this while showering. It was amazing. The beauty of Capella is that the Marigot Bay setting is almost as gorgeous as the Anse Chastanet area, but it has an beautiful pool as well as access to a beach and fun water toys across the bay. Chris also got to take a sailing lesson in Marigot Bay which he'd been dying to do, and he had the time of his life. I went to the spa... and loved every second of it. We just couldn't recommend this hotel more highly. If you don't stay here, definitely put this place on your list for dinner. Their menu is filled with chocolate-laced items and after dining there when staying at Anse Chastanet we can confirm that it's 100% as amazing as it sounds. We had read so many recommendations online before going that said that if you don't stay here, definitely eat here. We very seriously considered staying here, and it would have been amazing, but we really wanted to be on the beach, which this hotel isn't. It's set back in a lush, forested part of the island very close to Anse Chastanet and Jade Mountain. But the hotel and its grounds are absolutely beautiful as are the rooms and everything is pure luxury here. So if you're cool being shuttled to the beach every day or don't even really care about the beach and are cool with just a pool, we highly recommend this spot! We're sure this hotel is absolutely amazing and with your own personal butler during your stay at their stunning villas, you'll probably be in heaven. It also happens to be one of the only other resorts on the southern end of the island that has direct access to a beautiful beach. It has a few restaurants on property and once again gorgeous luxury accommodations, but we did visit this beach on the boat tour that we took and it was extremely crowded, not at all tranquil and we heard from several islanders and visitors that the food just isn't great, which deterred us from visiting for a meal. But in general, it's a beautiful property and according to our tour guide, Matt Damon rented the entire property for his vow renewal celebration with his wife and family... so clearly this place has some magic. 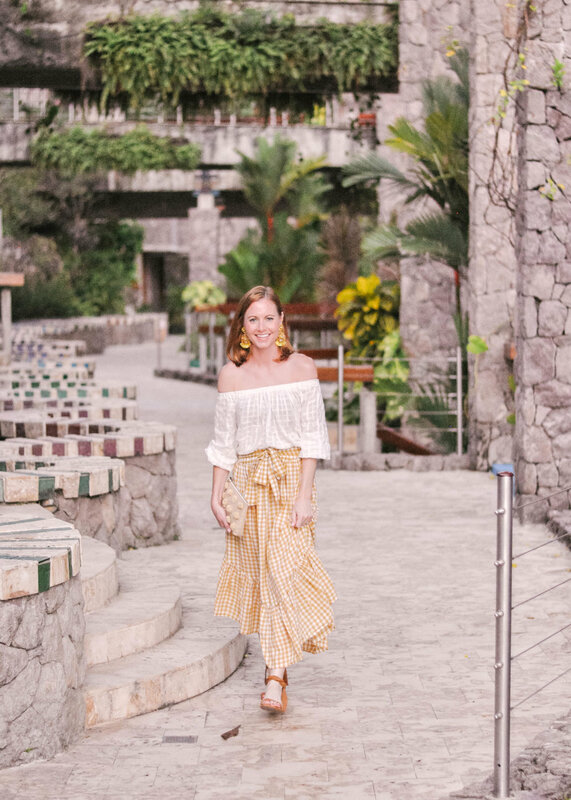 Ladera is near the Pitons, has some of the most beautiful views of them and has gotten some great reviews over time, but it isn't on a beach and we weren't sure the guest rooms or the food were up to our standards. They do have plunge pools in many of the guest rooms, though. But again, they've gotten some wonderful views and we know that this is kind of a St. Lucia "classic". There are an abundance of hotels on the north end of the island that we hear are a little bit more "modern" or "Americanized" and aren't as focused on the natural setting of the island or being a quiet respite. But we didn't visit or stay at any of them, so we have no idea if that's true. But from what we can tell, most of the hotels on the north end of the island in and around the capitol Castries are mostly all-inclusive and have a bit more of a "party" vibe that the other properties we mentioned. There are a few Sandals properties up there, including one, the Sandals Grande St. Lucian that just put in new over-water bungalows, and a few others that are more resort-like or all-inclusive. But be warned, if you choose any of these, they are quite a ways from a lot of the activities you'll want to take part in on the island, and far away from one of the island's biggest attractions, the Pitons. And when I say far away, I mean that it's a good hour and a half drive... on pretty winding and rocky roads. Nothing is just a quick jaunt from that end of the island. When we were in St. Lucia, we got to do so many fun things that we'd absolutely recommend to anyone visiting and that includes snorkeling in the marine reserve area at Anse Chastanet Beach (a total must if you go), SUP boarding around Anse Chastanet Beach and the nearby turtle cove, taking a day tour by boat and car to the bat caves, the volcano, one of the waterfalls, the hot springs, the mud baths and some of the islands most beautiful lookout points, a ridiculously delicious and fun dinner at Boucan by Hotel Chocolat, cocktails at the bar at the top of Jade Mountain and sailing in Marigot Bay. 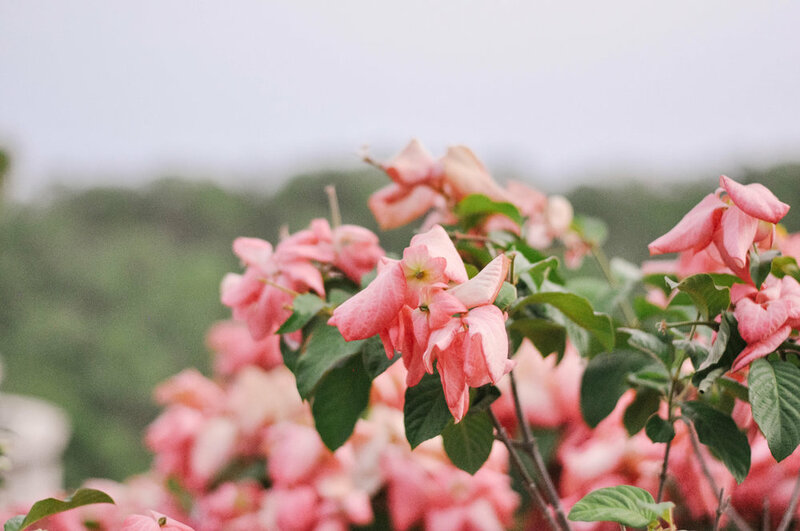 There are so many more activities to choose from though like hikes, plantation tours and scuba diving, so below are some links to some of the things we did as well as some of the awesome adventures we'd love to partake in if we had more time or go back for round three! Chocolate plantation tours at Boucan by Hotel Chocolat - there are several to choose from and we hear it's an awesome experience. Car or boat tours that take you to the island's volcano, hot springs and mud baths, waterfalls, etc. - we took one from Anse Chastanet by boat and then car with a slightly questionable team of random locals and it was so fun to hit all of those spots in one day! These dudes hang out during the day by the beach at Anse Chastanet, so no need to book in advance if you go that route, although we'd feel weird recommending that. Just stick with Janus' tours and you'll have all you need for a great price! Most places accept either the Eastern Caribbean Dollar or the U.S. dollar, but don't stress about using one over the other. We brought a little bit of U.S. cash just in case, but ended up using mostly our credit cards for big ticket items and were able to stop at the ATM at the airport or on the way to our hotels or near our hotels to take out EC to pay with. Using EC is the easiest way to pay and tip car services, tours, activity costs, etc. but don't worry about exchanging before you get there. The Eastern Caribbean Dollar has a fixed exchange rate of US $1 = EC $2.70 and most prices on menus, pricing lists, etc. 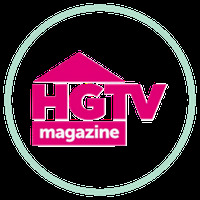 are listed in EC on the island so don't be alarmed! 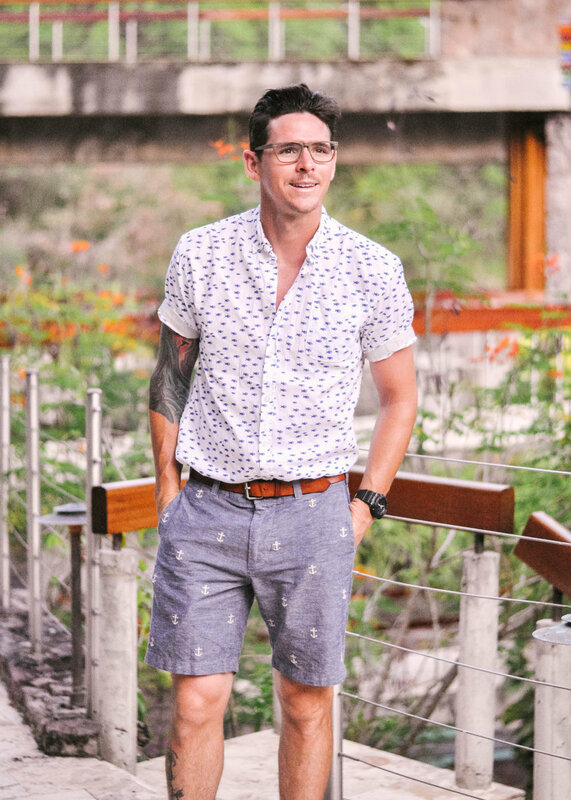 Island casual is what it's all about here, no matter where you're staying and playing. It's pretty much in the 70s and 80s Fahrenheit all year long and really humid, so a bunch of swimsuits, some light, airy attire, sandals and some active gear if you're hiking are all you'll need. Also, most of the hotels provide bug spray, but just in case we recommend bringing your own and getting comfortable using it every night before you go out. On a girly note, I was prepared with a step down voltage converter for using my curling iron in our hotel rooms, but surprisingly, unlike most of Europe all of our hotels were either equipped with one American outlet or their own step down voltage converters for easy use. Loved that!